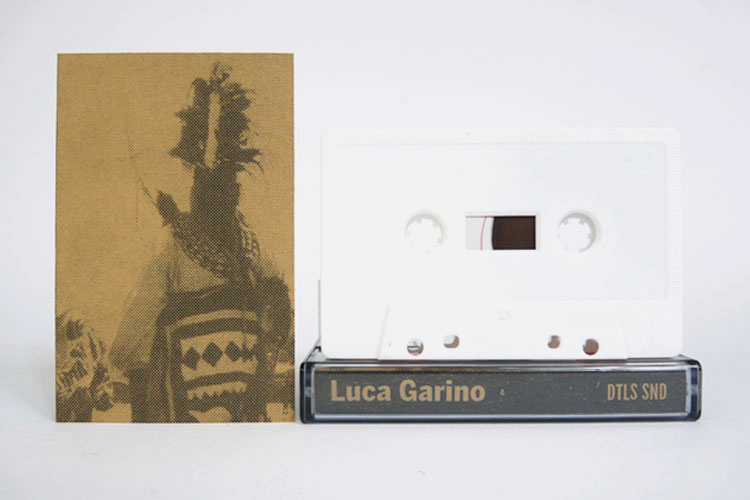 ‘Sélection des musiques traditionnelles d’Afrique’ is a live recording session of ritual dance from Italian composer Luca Garino and the first release on tape of Details Sound. A fascinating musical document that incorporates percussion ensembles, rural soundscapes and improvisation taken from the traditional African heritage of C.N.R.S. and Ocora catalogues. The selection reveals the artistic practice and tireless research of the Turin based artist who is locally renowned for the most diverse contributions to the experimental music scene. Recorded live at Martin Pas Synth Shop in Turin, June 2016.